Rockburst phenomenon is the extreme release of strain energy stored in surrounding rock mass which could lead to casualties, damage to underground structures and equipment and finally endanger the economic viability of the project. Considering the complex mechanism of rockburst and a large number of factors affecting it, the conventional criteria cannot be used generally and with high reliability. Hence, there is a need to develop new models with high accuracy and ease to use in practice. 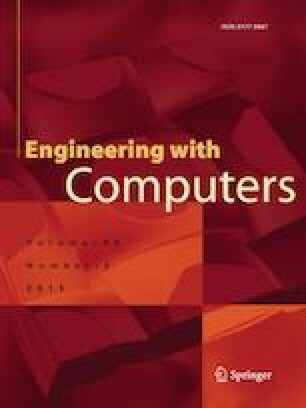 This study focuses on the applicability of three novel data mining techniques including emotional neural network (ENN), gene expression programming (GEP), and decision tree-based C4.5 algorithm along with five conventional criteria to predict the occurrence of rockburst in a binary condition. To do so, a total of 134 rockburst events were compiled from various case studies and the models were established based on training datasets and input parameters of maximum tangential stress, uniaxial tensile strength, uniaxial compressive strength, and elastic energy index. The prediction strength of the constructed models was evaluated by feeding the testing datasets to the models and measuring the indices of root mean squared error (RMSE) and percentage of the successful prediction (PSP). The results showed the high accuracy and applicability of all three new models; however, the GA-ENN and the GEP methods outperformed the C4.5 method. Besides, it was found that the criterion of elastic energy index (EEI) is more accurate among other conventional criteria and with the results similar to the C4.5 model, can be used easily in practical applications. Finally, a sensitivity analysis was carried out and the maximum tangential stress was identified as the most influential parameter, which could be a guide for rockburst prediction. The authors declare that they have no conflict of interest or financial conflicts to disclose.